Last year here it was Hamilton's Mercedes team-mate Valtteri Bottas who bagged pole and win, though he's not been in the best form recently with him conspicuously off Hamilton's pace since being asked to cede to him in Russia. But still if Hamilton is removed form the front then his 6/1 to again be fastest qualifier and 13/2 to win has value. And if you fancy hedging you can back a Mercedes being fastest qualifier at a tempting 11/10 and a Merc win at an even more tempting 13/10. Track position means a lot at the Yas Marina track, particularly at the front. 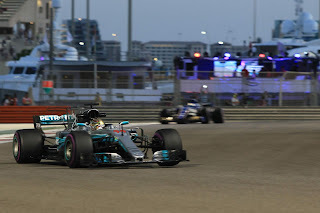 The last three Abu Dhabi races have been won from pole, and the two before that were won by the second-placed starter taking the lead at the start and staying there. Backing the polesitter to win at 11/17 should be fairly safe. The last couple of rounds have been a lot about Max Verstappen, him wining two rounds ago and he should have won last time out in Brazil too until his notorious clash with the lapped Esteban Ocon. The Yas Marina circuit will be a harder challenge still for his Red Bull, with a high proportion of the lap at full throttle and this one at sea level. Still, the car should be strong in the twisting final sector and may - like in Brazil - trump the rest in its race-day tyre handling. A win - which can be backed at 13/2 - may be a long shot but 5/4 available for Max to get on the podium again looks good. How will Charles Leclerc get on at Ferrari next year? While if out of devilment you fancy Vettel to continue to unravel this weekend you can get a rather gaping 11/4 on him not to finish on the podium. On the basis of Brazil he may be more potent in qualifying than the race, and you can back him to be fastest qualifier at 13/10. Nico Hulkenberg was a comfortable best of the rest here last year, finishing sixth, and you can back him at 10/3 to finish in the top six again. Force India also has a good record here and you can back either Force India pilot at 4/5 to score this Sunday. And of course, as Clive James once noted, the next F1 season begins at the same moment the previous one ends, so with this minds already are turning to 2019. This includes those of the bookies, and they are offering special odds on how Charles Leclerc making his Ferrari debut will get on, as well as on the two British rookies Lando Norris and George Russell (these are in addition to the Hamilton specials discussed in the Brazil betting preview). 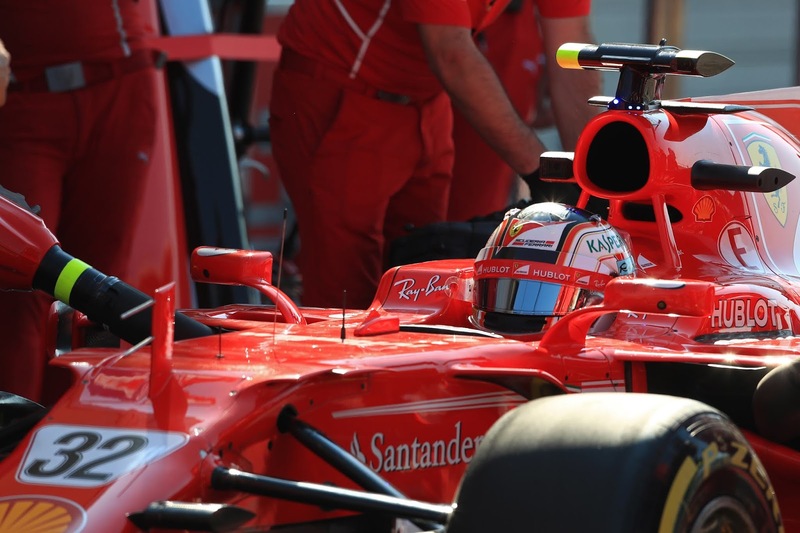 With Leclerc, the 5/4 available for him to get on the podium in his debut race next year looks good, as does the 11/8 for him to (probably, at the time of writing) match his predecessor Kimi Raikkonen in finishing in the top three of the drivers' table. Plus if you fancy Leclerc to get the upper hand at Ferrari then you can back him at 5/2 to score more points than team-mate Vettel and 11/4 to get more wins. A strong Leclerc will aid Ferrari in the constructors' battle too and you can back Ferrari to take that championship next year at 5/4. Norris's and Russell's odds are a bit more fanciful, but still you might be tempted by the 2/1 for Norris and 4/1 for Russell to score points in their debut race - attrition tends to be higher in Melbourne's opening round so it may be a good time to back a top 10 finish. And if you fancy a Leclerc-style rise up the grid then you can back Norris at 4/1 and Russell at 10/1 to win the world drivers' championship by the end of 2021. In Russell's case we could plot a plausible path, given he's a Mercedes junior and Bottas's contract covers only 2019 with an additional one-year option for the team. All odds quoted in this article were accurate on the Oddschecker website at 2030 GMT on Wednesday 21 November 2018.